Taking the best care of our vineyard involves letting it express itself as clearly as possible, without too much intervention, adapting our work according to the soil and the age of the vines. Our whole vineyard is conducted with sustainable agriculture since 2001 and we are in the process of obtaining certification AB. The parcel “La Templerie” is certified AB since 2010. 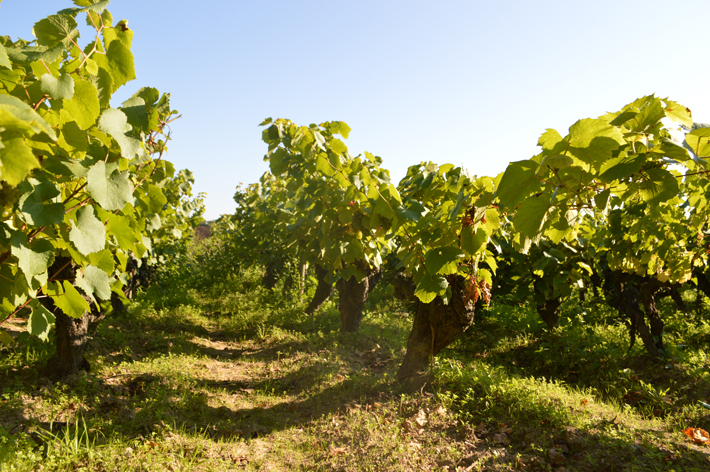 We stopped using artificial fertilizers more than 25 years ago, our cuvées originate from vines which are entirely cultivated and ploughed, forcing the roots to look for minerality in the depths of the terroir. 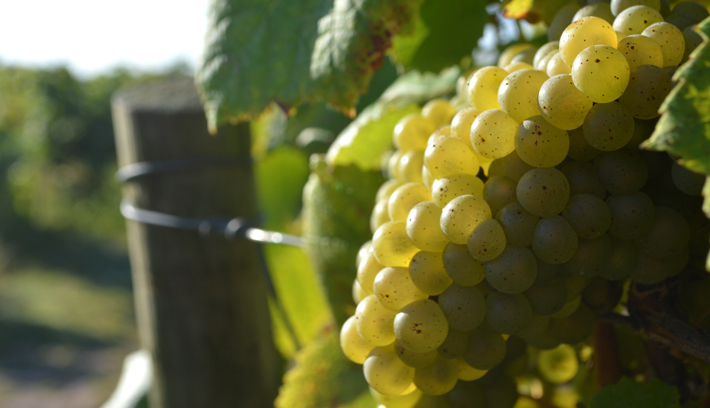 Here in Muscadet we have a unique grape variety, “Melon de Bourgogne”. A grape with a gentle character that can be described as not strongly varietal, which leaves lots of room for the terroir to express itself. The winemaking, when all the conditions are present to have good grapes, is gentle. The key factor lies in the choice of the harvest date. Once the grapes are brought in, the pressing is carried out by two Wilmes presses, which are the best of pneumatic presses, a luxury which recently permitted ourselves. The advantages: the work is done quickly, to avoid any oxidation, but smoothly, insuring fresh juice from the heart of the harvest. We use yeasts selected from the best clusters gathered from all over our vineyards. So, we have 6 yeasts specific to the domaine, which we use for the fermentations lasting between 15 days and one month. For us, it is more efficient and secure. After settling at the bottom of the tank, the fine lees nourish the wines. Over time, all the elements still alive in the flesh and the skin of the fruit are going to live and continue to “exchange” with the wine. The autolysis of the yeasts still present in the lees will promote progressively the evolution of the still young wine under protection of the CO2. 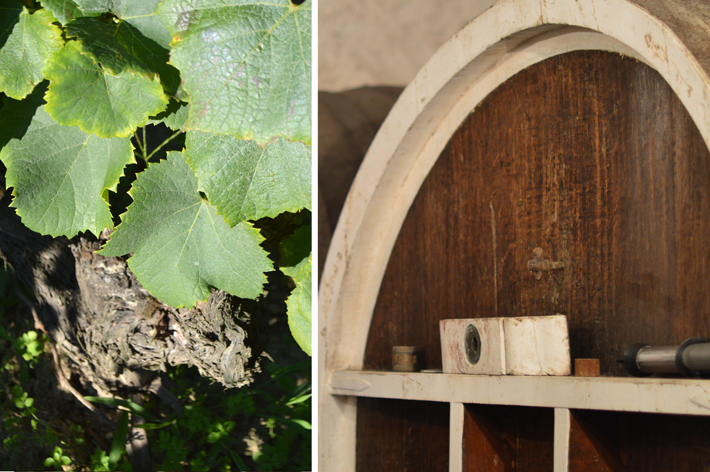 This élevage can last for a long time and it varies according to the vintage, the cuvees, and to the geological complexity of the soil where the grape is planted. The time on fine lees can be spread out over several months and even years in tanks sheltered from direct light and from temperature variations. The decision as to when to bottle comes from a regular tasting of these tanks. 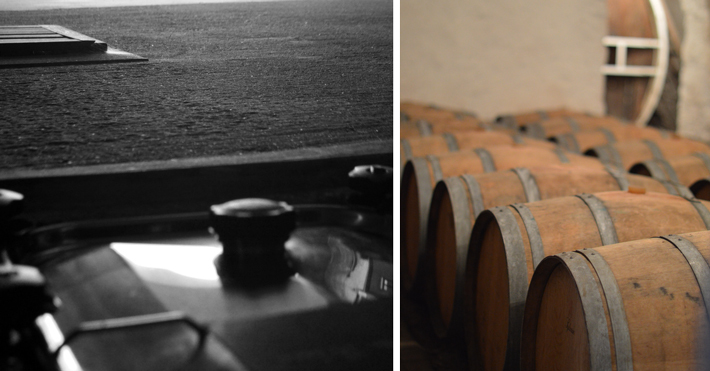 To gain even more in complexity, a part of my wines are also directly vinified in oak barrels of various capacity, but always on fine lees, thus with no racking.